As I write, it was 10 years ago today that Davy and I first spoke. We had spent 80 days working side by side in silence, putting away breakfast food and condiments for 100 people. We had started our work together after silence had begun on our 3-month meditation retreat, so I’d never heard his voice. We had developed a habit of getting tea after our work was done. One day he handed me a plain green cup for my tea; I smiled, put it back, and pulled down a more elegant one. Two months later, he commented on my choosiness. He had noticed that there were dozens of the plain green ones, and no more than six of any other type. He decided then and there to make a green cup his favorite.That way he did not have to search for a particular one. He was always sure of being pleased and satisfied. Very wise, I thought! PS. I will be teaching a mini-retreat in Carson City on Sunday, January 11 with my friend Christy Tews, assisted by Angela Sullivan. For information go to DharmaZephyr.org/events. 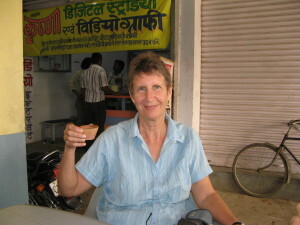 Photo: I am holding a traditional low-fire Indian tea cup, often used to serve tea on the train. When you’re done, you toss it out the window to get recycled into the earth. This entry was posted in Asia, Meditation and tagged Retreat, Wisdom. Bookmark the permalink.